*BestBuy asked me to share this deal with you and sponsored this post. All opinions are my own. 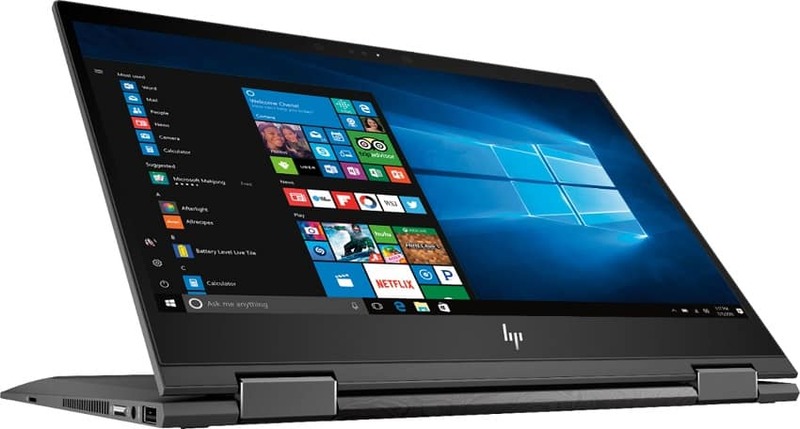 If you are shopping for a new laptop this weekend, check out the HP Envy x360 laptop. 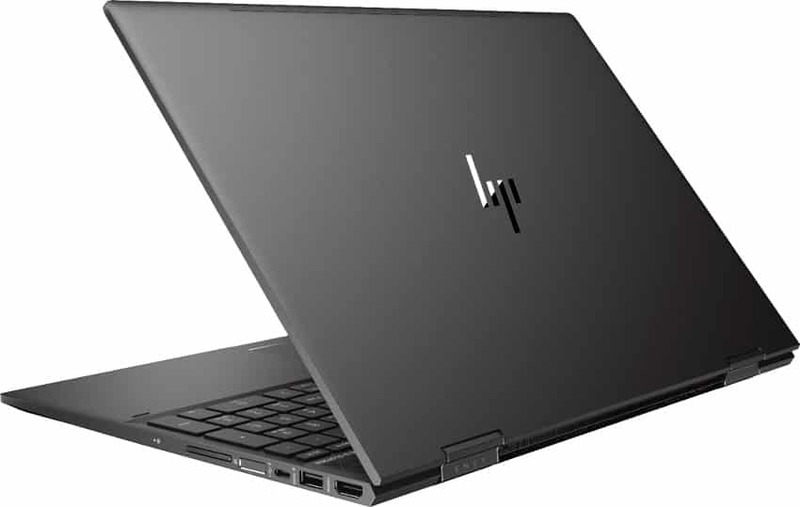 I have always had good experiences with HP and recently purchased a very similar model. I love it! Using Windows 10, this OS allows you to go old school (like me) with the Start Menu, or navigate tablet-style using the touch-screen. You can even flip the screen around for watching videos on the go or even reading. I am really loving the 360 design on my own laptop. I didn’t think I would use that feature much, but I do! The touch-screen is also a really nice touch. I am so used to it on my phone that I would catch myself trying to zoom in on my regular computer screen. Now it actually works. Ha! Want to make notes with a stylus? You can do that too! 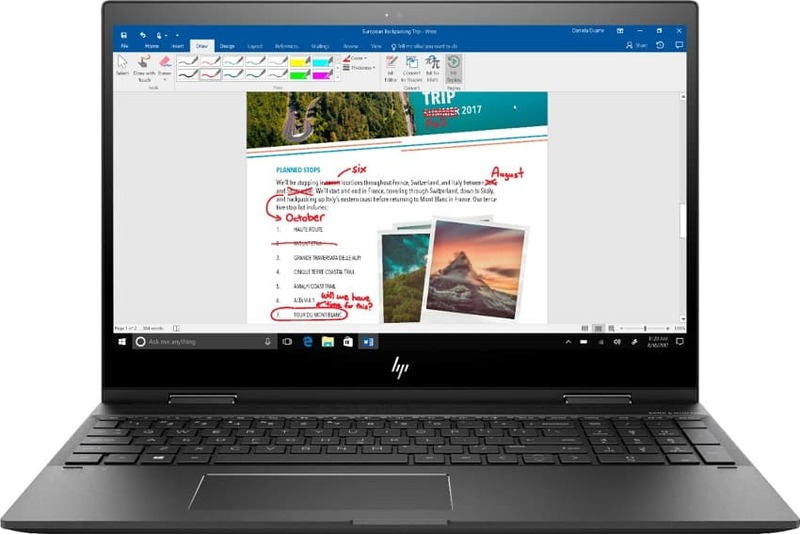 HP Envy x360 laptops come with Windows Ink capabilities and a Windows operating system so you can write directly on the screen. The HP Envy 360 comes with either a 13-inch or 15-inch screen and this weekend at Best Buy you can save $100 on either size! Be sure to check out the savings while you shop and grab a great little machine you can take anywhere. Sale ends July 28th, so get your shopping on! I have loved just about every HP product I have ever owned. If you’re shopping for back-to-school or need something affordable for travel, HPs are a great option for a reasonable price. You heard it here first!